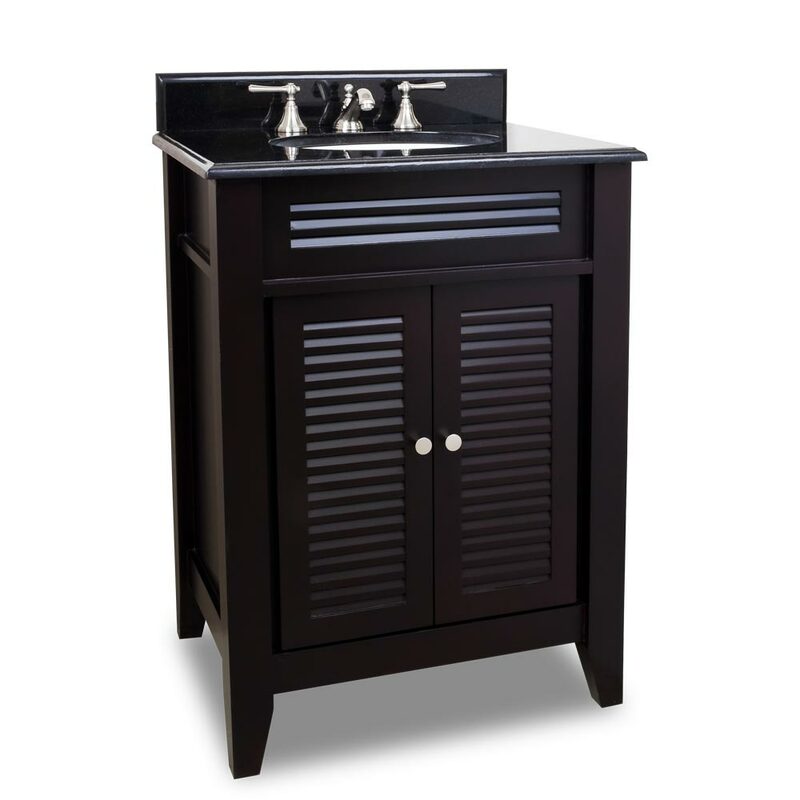 Give your home a clean, relaxing cottage feel with the 26.5" Palomar Single Bath Vanity. 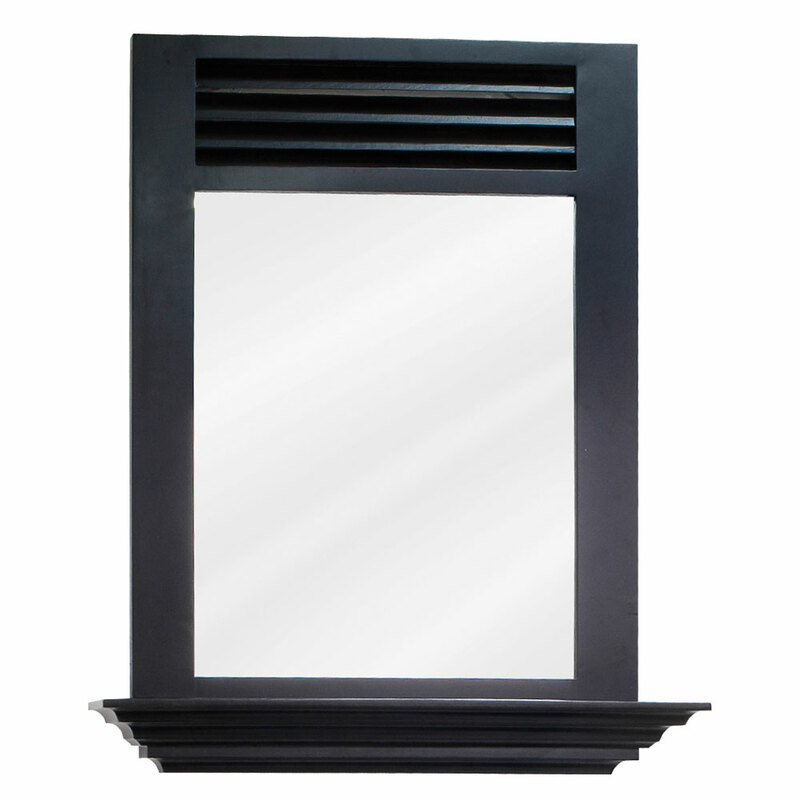 With its Espresso finished cabinet and black granite top, this vanity brings sophisticated looks and cooling effect to your bathroom. 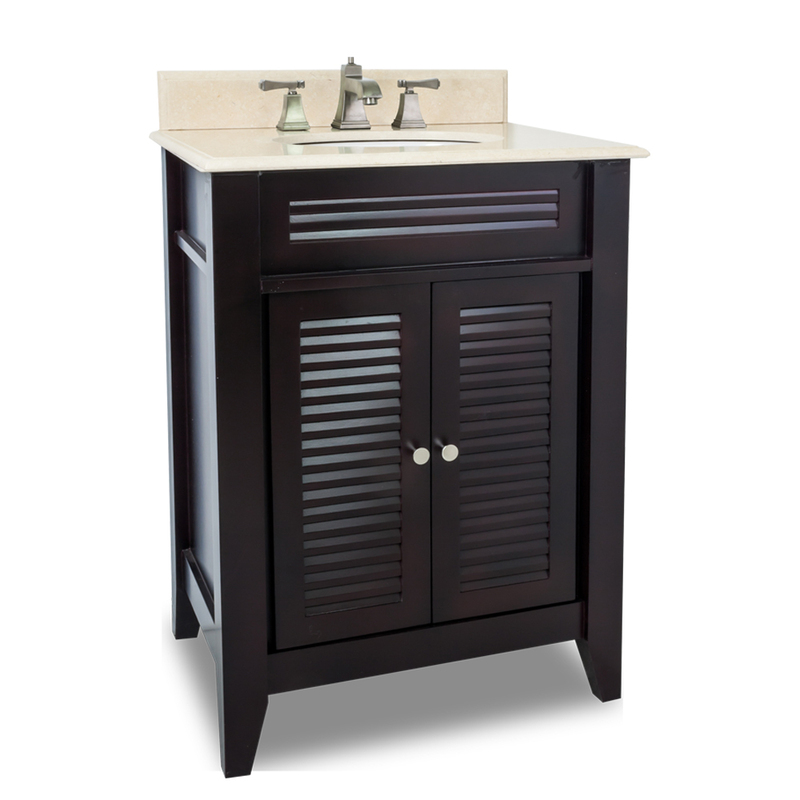 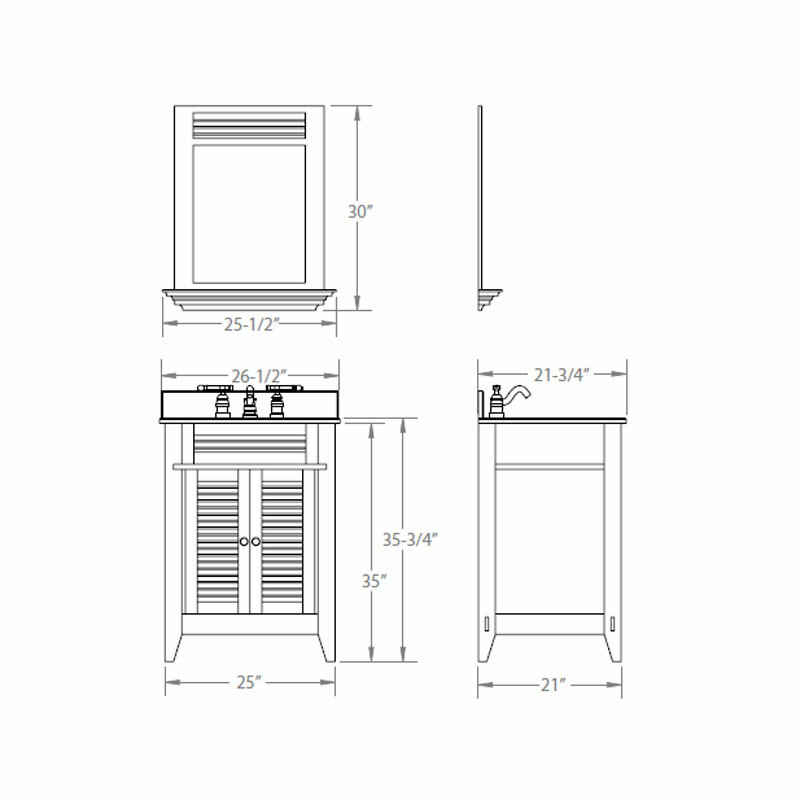 Double-louvered doors open up to reveal tons of storage space in a small vanity, while its tapered legs and clean lines portray a crisp feel that will spread throughout the entire interior of your bathroom.